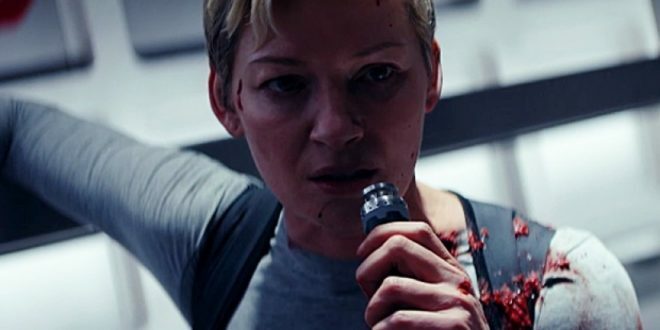 Get an official first look at Syfy’s Nightflyers. The ten part series is based on George R.R. Martin’s novella of the same name. 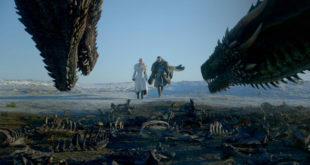 The Game of Thrones author describes it as Psycho in space and is a welcomed addition to the network’s scripted offerings. From the trailer we’re sure to get some intense scares as we follow the crew of The Nightflyer as they attempt to make contact with alien lifeforms. The series is set to premiere later this fall. NIGHTFLYERS follows eight maverick scientists and a powerful telepath who embark on an expedition to the edge of our solar system aboard The Nightflyer – a ship with a small tight knit crew and a reclusive captain – in the hope of making contact with alien life. But when terrifying and violent events begin to take place they start to question each other – and surviving the journey proves harder than anyone thought. Eoin Macken (“The Night Shift”) is set to star as Karl D’Branin alongside Sam Strike (“EastEnders”) as Thale, Maya Eshet (“Teen Wolf”) as Lommie, Angus Sampson (“Fargo”) as Rowan, Jodie Turner-Smith (“The Last Ship”) as Melantha Jhirl, Gretchen Mol (“Boardwalk Empire”) as Agatha, David Ajala (“Fast & Furious 6”) as Roy Eris, and Brían F. O’Byrne (“Million Dollar Baby”) as Auggie. Next ‘Shadowhunters’: What Do We Know About Lilith?